Curious about the further adventures of the HAPIFork that debuted at CES 2013 and got a whole slew of awards? Spend a minute moment (audio 0:51) at lunch with two Health 2.0 writers and inventor Jacques Lépine. Don’t eat too fast or it will buzz–and you can see your eating patterns on HAPIFork’s online dashboard via Bluetooth to mobile or cable to PC. It finally made it to Kickstarter (20 percent to their goal) and $89 will get you one in September…..What is the Synergistic Physio-Neuro Platform (SynPhNe–pronounced ‘symphony’)? A new stroke rehabilitation system from Singapore’s Nanyang Technological University for patients which have lost the use of an arm. The arm band monitors muscle movements through guided exercises, and if one can’t be completed, uses the sensor readings to determine why, and then explains it to the user so that they can improve. Gizmag….DARPA’s ARM (Autonomous Robotic Manipulation) is a heavyweight set of two robotic arms to perform coordinated actions and manipulate objects on task-level commands. Currently in test, potential is in heavy moving or dangerous situations including defusing unexploded IEDs. Have Two Arms, Will Work (Armed With Science)….Skype ‘n’ psych a no-no, according to Marlene M. Maheu, PhD, head of the TeleMental Health Institute, due to privacy concerns with the popular online video platform–and even secure telemedicine platforms may have liability problems for psychiatric use. Psychiatric Times. Wooden this come to life for telecare/telehealth? Electric Imp, Mindings and Twine have both been flagged up previously as ‘small’ developments having the potential to disrupt established telecare/telehealth offerings…read the Electric Imp comments. It now looks as though we might be able to add Udoo and Pinoccio to those. Gizmag items. Two major Telehealth and Telecare programmes worth £2.8 million were officially launched yesterday by the Cabinet Secretary for Health and Wellbeing Alex Neil MSP when he visited a local monitoring station within East Ayrshire Council. The Minister heard via video link from a patient who told the minister how the technology has made a difference to how she has been able to manage her COPD. More info: East Ayrshire pioneers new digital health system Cumnock Chronicle. Researchers at the University of Notre Dame have developed a tablet-based test that can detect injury through before-and-after voice analysis. For instance, an athlete recites a series of words before a game, recorded on a tablet. If there’s a suspected concussion or brain injury, the same words are used and software compares differences. Injury indicators can be pitch, hyper nasality, distorted vowels and imprecise consonants–and the tests are far more difficult to fake. In action in this video, the tests also appear to include spatial and balance. Associate Professor Christian Poellabauer describes the research below using Notre Dame’s boxing teams. [grow_thumb image=”http://telecareaware.com/wp-content/uploads/2013/04/timu.jpg” thumb_width=”150″ /]Misfit, UnderArmour, Fraunhofer Institute, Samsung, Apple, GuideMeHome and even Avery Dennison, listen up: the US Department of Defense via DARPA (Defense Advanced Research Projects Agency, a/k/a the Internet’s real dad) researchers at the University of Michigan have developed a timing and inertial measurement unit (TIMU) that monitors motion, acceleration, time and positioning–without GPS. This navigation chip packs internal clocks, gyroscopes and accelerometers into 10 cubic millimeters fitting quite comfortably in the center of a US penny. Defense usage is backup for military devices in case of malfunctioning/unavailable GPS. In the civilian market, the easy one is wearables particularly for safety (e.g. gait detection, falling)–but the other is backup to in-car and cell phone systems dependent on GPS which, if knocked out, can present inconvenience to hazard. Extreme Miniaturization…. (DARPA.mil) PopSci’s once-over-lightly. TechCrunch reports that the first prototypes are starting to ship and are first going to 2,000 “Glass Explorers” who signed up at a major developer conference last year. The Eye observes that Google needs them badly–to start writing apps and debugging the prototypes. But were you one of those who signed up to pay $1,500 so you could Ultimate One-Up your friends? There will be a yet-to-be-determined delay. The Eye believes it cannot be long enough…because this next article contains one Big Blinking Concern After Another, including but not limited to the illicit acquisition of data and all sorts of things the appsters can do to really make Google Glass A Bad Thing in Google Glass and Surveillance Culture (Slashdot). Update 16 April pm: Gizmag reveals Google Glass specs, so to speak. The event is co-hosted by the European Commission and the EU Presidency (Ireland currently holds the EU Presidency). The ECHAlliance is supporting the events. The eHealth Week will bring together industry partners and providers with government representatives and decision makers from across Europe. Events taking place during the week will highlight the role of technology in improving healthcare and health service efficiency and reinforce Ireland’s place as a leader and innovator in the Health ICT sector. Includes the 2nd EU-US eHealth Business Marketplace on Tuesday 14 May. eHealth Week website. As anticipated in our item in January, the coming together of Wiltshire Medical Services (WMS) and Telehealth Solutions (THSL) has indeed created a new brand under which both sides of the company’s activities can grow. They have sidestepped both the local name and ‘solutions’ name traps and have cleverly found an unused ‘Med-‘ combination and have arrived at ‘Medvivo’. Of course, for the moment Google thinks you may have wanted US health monitoring company Medivo, but that will soon sort itself out. Medvivo press release. David Shaywitz, in Forbes, synthesises his observations of doctors’ concerns about doctors and patients’ use of the internet and social media in particular. He focuses not just on the usual worries but puts them into a broader social and professional context. “Predictably, medicine seems to be reacting to change the way it often does…by issuing well-intentioned (albeit largely unreadable) guidelines”. However, he ends on a positive note: “Rather than isolating doctors, the new technology promises to be fundamentally enabling…The result: a new sense of connection and meaning. Medicine could be fun again.” Four Reasons Doctors Worry About Social Media – #GetOverIt (Forbes has an intrusive adverts business model.) Heads-up thanks to Charles Lowe. It’s great to see Intel’s Eric Dishman back in good form after his kidney transplant. Heads-up thanks to Matan Czaczkes. Editor Donna comments 12 April: Dishman (@ 03:30) demonstrates the MobiSante hand held scanner to check his kidney–online and real time with his doctor–and eloquently speaks on the marvelous care coordination he received before/during/after the transplant at Legacy Good Samaritan in Portland, Oregon. It’s contrasted with the sheer craziness of care he received as a child for a broken arm (where he was caught in the ‘longer you stay in the hospital, the sicker you get’ syndrome), his diagnosis with kidney disease as a university student, and a health scare due to multiple and mistaken dosing. Care coordination is the answer. How can we in health tech work this in to our broken health systems–and work to fix and truly re-form, not paper over? Isansys Lifecare has closed a major funding round with Isle of Man investors and has been awarded a grant from the Technology Strategy Board’s Smart awards programme. 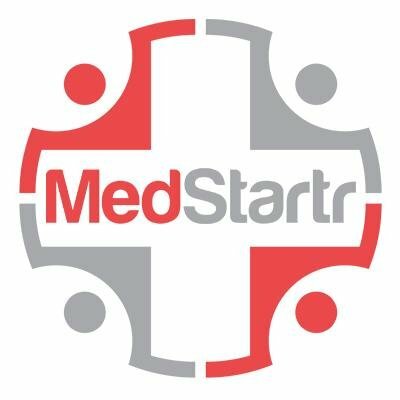 The funds will accelerate the roll-out timetable into UK hospitals of the company’s CE-marked clinical surveillance and early warning platform – the Patient Status Engine – and enable its use to be extended across the entire patient population, from children to older adults. Press release. Perhaps doctors need to become used to remote vital signs monitoring in hospitals before they see the advantages of extending it into people’s homes. 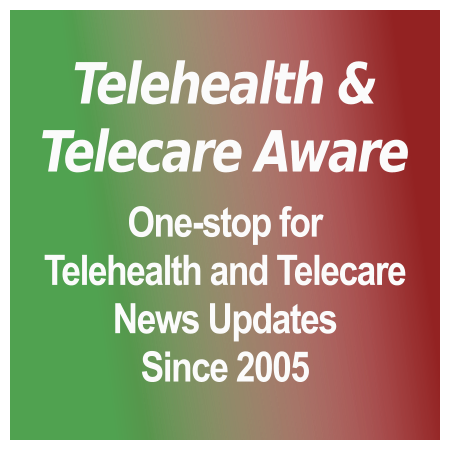 The Telecare Services Association (TSA) has confirmed in a press release (PDF) that when it launches its Telehealth Code of Practice in May that it will be integrated with its Telecare Code of Practice and that accreditation to its standards will be opened up to non TSA members. [Excellent news – this will help service commissioners by levelling the playing field for member and non-member suppliers. Ed. Steve]. Employee wellness: Carrot? Stick? Or something else? Looking at over 19,000 employees at five employers, the authors find that employees who reduced their total health behavior risks over a 12 month period—for example, by increasing exercise or improving their diet—had a lower likelihood of absence, less presenteeism [working while sick–Ed. ], and better job performance. But some of those 19 factors included work-related risks such as “poor supervisor relationship, not utilizing strengths doing job, and organization unsupportive of well-being” (JOEM)–not health related at all. And the total reduction was a whopping 5 percent. Magic 8 Ball says: ‘picture cloudy, try again’. So perhaps the real choice has become this: adhere to employer requirements–or not have any coverage at all. There’s been a 10 point decline in Americans covered by employer-sponsored insurance, from 69.7 percent in 1999/2000 to 59.5 percent in 2010/2011 (SHADAC/Robert Wood Johnson Foundation). Much of that is also the US 7.6 percent ‘official’ unemployment rate (U-3)–but the real accelerator here is the 13.8 percent U-6 rate which counts in part-timers and the ‘marginally attached/discouraged’ who are not going to have employer insurance. The Affordable Care Act and its requirements/fees have also discouraged many smaller employers who are simply dropping insurance coverage. So what is the bottom line? And where there are the opportunities for consumer engagement and self-maintenance linked to telehealth and mobile health which can mitigate cost? Understanding the ill-defined situation companies are in, especially in the US, will help in identifying them.